with demand and continually exceed customer expectations with quality products and reliable service. How did you get started in the waste water tank business? It’s all in the family, literally. My father started pouring and installing septic tanks back in 1970 while my mother ran the office. They were successful and the business grew bit by bit, providing job opportunities for my brothers, who now have their own successful tank installation businesses. After pursuing a different career path outside of the area, I returned to my Texas roots in 2006 to help my folks run the business. I can’t imagine doing anything but this! On average, how many tanks are you pouring on a daily basis? When it’s not raining, we pour tanks every other day at a rate of 23 tanks a day. These range from standard tanks to the new aerobic tanks, in sizes from 500 to 3,000 gallon capacity. This requires a lot of concrete that has to be there when we are ready to pour. How does the company satisfy its need for that constant supply of concrete? My dad invested in volumetric mixing equipment when he first started the business. But constant pouring and Texas humidity can take its toll on equipment. When I came here, that old mixer had definitely seen better days. It was constantly breaking down, and we had to either shut down our pouring operation or rely on someone else to deliver concrete. That cost us money and wasted a lot of time. Last year we finally decided to replace that mixer because of the lack of parts and service to support our business. Did you do a lot of research on various volumetric mixing equipment prior to purchasing your Cemen Tech equipment? To tell you the truth, one of concrete suppliers did the research for us. He was using Cemen Tech volumetric mixers and strongly encouraged us to do the same. A representative from Cemen Tech visited our operation to assess our needs and recommended a solution to better fit our situation. They came out to help us set up the SCD8-100, trained us on how to use it and have always been there for any follow-up calls. Now I’m a believer in Cemen Tech. What would you tell other precasters about Cemen Tech mixers? • Ease of operation — Our operator had to miss a week of work, and my husband stepped in. He was amazed at how easy it was to run the equipment. • Service — Texas humidity can wreak havoc on equipment. We once had clogged cement in the mixer, Cemen Tech shipped a new sprocket to us the following day, and we were up and running in no time at all. • Quality mix — Customers comment on the difference between our tanks and those of our competitors. 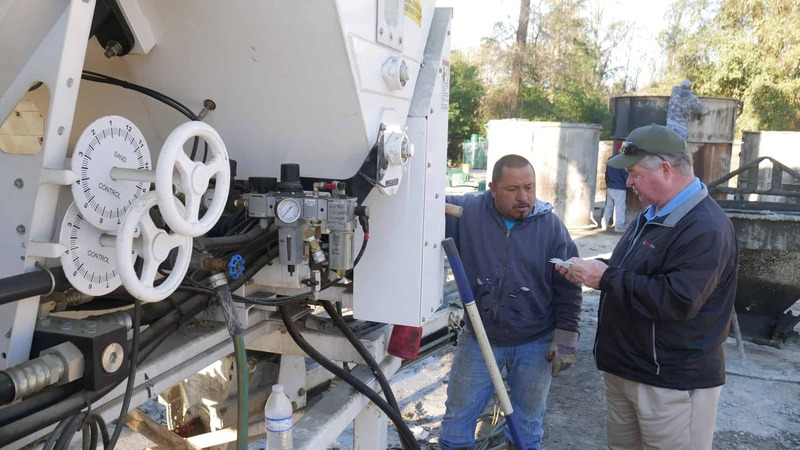 Cemen Tech volumetric mixers provide a consistently better mix that results in a smoother finish with less cracking. • Price — For what you get in return, the price is well worth it. We have spent more money on other equipment we use on a daily basis that doesn’t wear or perform as well as our Cemen Tech equipment. 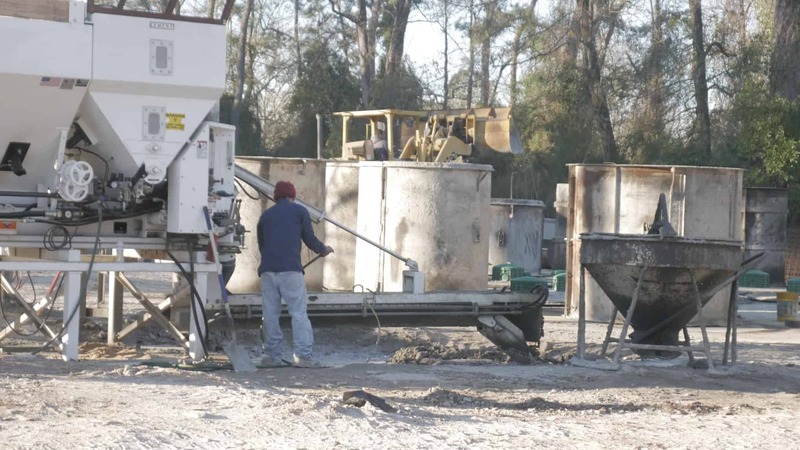 What does the future look like for Whitley Concrete Products? 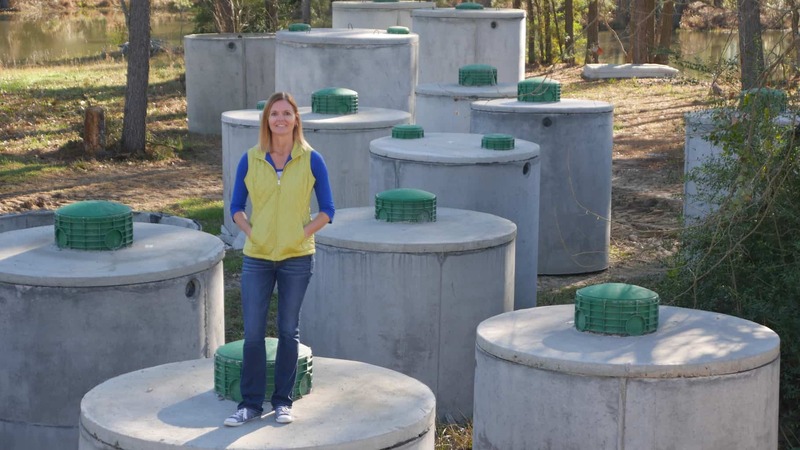 A boom in new home construction, older septic systems showing their age and recent government requirements for aerobic tanks will mean more demand for our products. We have a great staff ready to meet that need. We have wonderful customers, including my brothers, who rely on us for quality products. And thanks to our Cemen Tech volumetric mixing equipment, we have the capability to meet that demand. I just wish Texas weather could be as reliable!